Looking for the ideal portable lighting kit? The Litepanels Sola ENG Flight Kit may be it. I’ve had the opportunity over the last few weeks to use the Litepanels Sola ENG Flight Kit on a few different projects: a series of interviews, a documentary in Alaska, a commercial spot, and a music video. These little lights were designed as on-board camera lights, but this kit attempts to make them a little more than that. 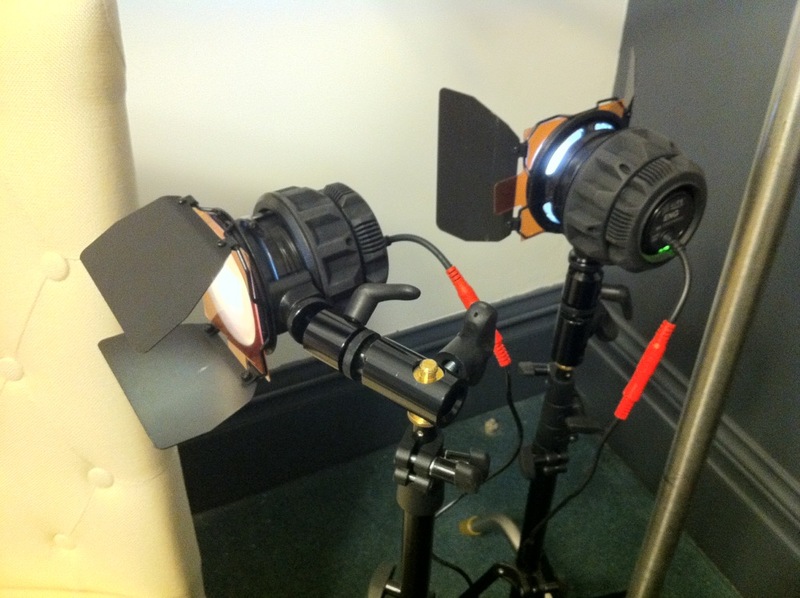 As such, I took them on a few shoots and used them as “conventional” lights, so keep that in mind as I review this kit. First, a little bit of an introduction. The Sola ENG Flight Kit consists of three very compact and sturdily-made 3” LED fresnel units. They are daylight balanced and put out a pretty decent amount of light (equivalent of about 250W Tungsten or 1ooW HMI) for the minuscule 30W of power they require. The fixtures have a well-designed dial on the rear that acts as the power switch and dimmer. It dims smoothly from 0-100% with no apparent color shift. There is another ring around the barrel of the Sola ENG that rotates smoothly to control the flood/spot feature (70º to 10º). The unit also has a relatively quiet cooling fan built in, but more about that a little later. Each fixture comes with a 2-leaf snap-on barndoor, a compact (Nano) stand, an AC power adaptor, a D-tap cord for battery-powered applications, a plastic gel kit (full CTO, half CTO, diffusion), a ball-head shoe mount, and a TVMP 5/8” stand mount. 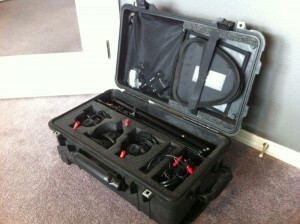 The kit also includes a collapsible 8” softbox, and a Pelican 1510 carry-on case with custom foam. If you’ve never used the 1510 case, it rolls around really well and fits perfectly in overhead airplane compartments. 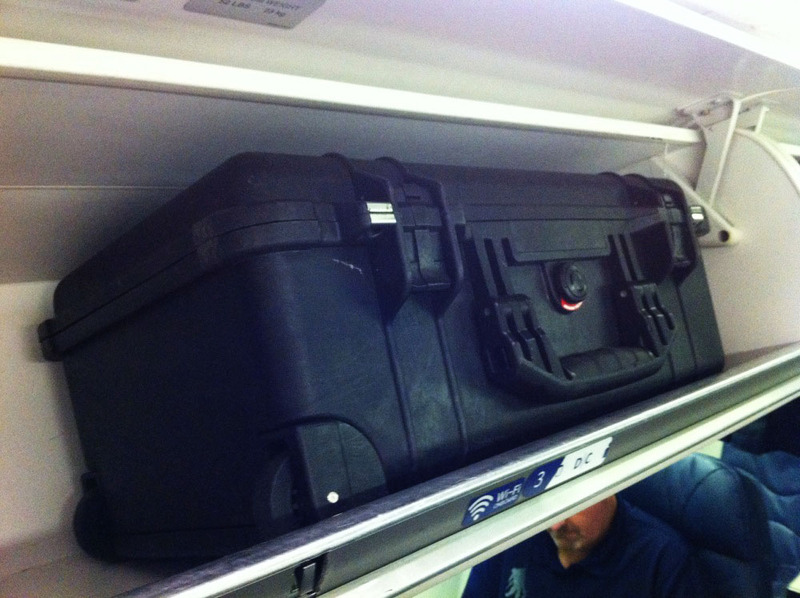 It even fit (snugly and with a little bit of force) in the tiny overhead compartment of a CRJ900. The flight attendant even told me to tell other flight attendants that it will, in fact, fit if they tell me otherwise. There are a lot of pros and some cons about this kit. I love that it’s so compact and relatively light (28 lbs). It’s a far cry and a welcome relief from the Arri Softbank Kit that I’m used to lugging around. The custom foam makes it very secure and super easy to pack up at the end of a shoot. I like that it comes with a gel pack so you don’t have to mess with clumsy sheets of CTO and C-47s. They put out about as much light as I would have hoped for and more light than I was actually expecting. I think it’s a fantastic kit for documentary and news work. Although, it’s not perfect. I found that it was best and at its most useful when used more for accent lighting. Because of it’s beam pattern and dimmer, it is perfect for creating little hits here and there, edge and rim lights, adding separation, etc. It’s also great for bouncing off walls for a kiss of fill. But as a key light, unless you’re going for a hard key look, it’s just simply too small of a unit to create an attractive key for my taste and not powerful enough to shoot through a silk for soft light. The cooling fan that is built in to the unit is relatively quiet unless you are going to be in a quiet room and in close quarters. I did not find myself in any situations where the fan noise became a problem, but I can see how they can easily become a problem in a situation like an interview in a small to medium sized quiet room where the fixtures are close to the subject, and therefore, the mic. I don’t know what the solution would be to fix this other than not using the lights. I’m assuming the fan needs to be there and in use; so until they can come up with a silent fan, this could be a big problem for some. It would be great to include a minus green in the gel pack. If cost is an issue, ditch the diffusion gel as it doesn’t do much for softening at all. The ball head/shoe mount + TVMP stand adapter combo is a bit wonky. If you don’t tighten everything just right, the light can slip off the shoe mount adapter. The ball head is a decent solution for directing the unit, but with all the different knobs and screws, the whole system becomes a bit “trinkety.” Fumbling with light is the last thing I want to do in a rush. A 1×1 Litepanel + 2 Sola ENG kit would be the most ideal for my uses. I would easily trade one of the Solas for a 1×1 panel in a snap. If they could figure out how to pack this assortment of units into the 1510 case, it would easily be a kit I would be interested in buying and I would use it constantly. 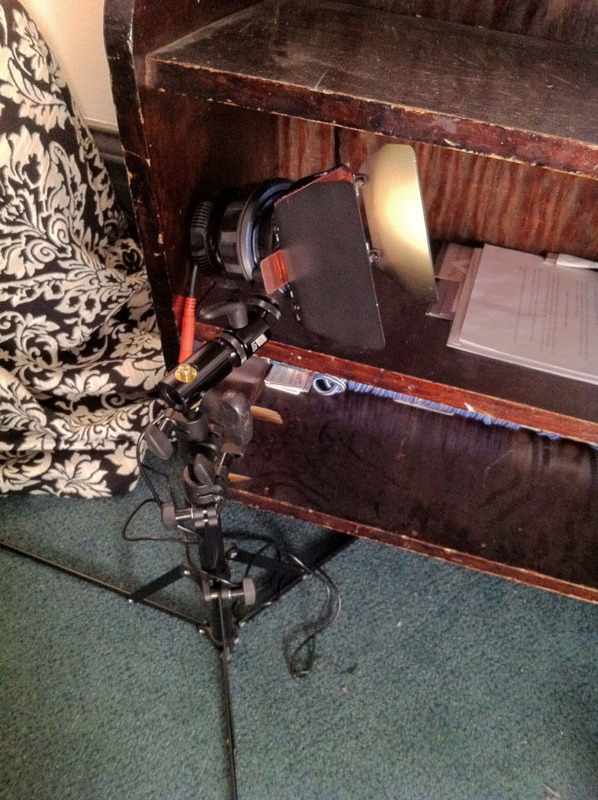 Somehow improve the softbox to not fall off the unit. It merely (and barely) hugs the fixture front rather than clipping on, or otherwise, securely attaching to the unit. So, in short: The Sola ENG is a great little light. The Flight Kit is a great kit, but not perfectly suited for my particular needs but with some “minor” changes mentioned above, I think it could be a perfect news/documentary kit. 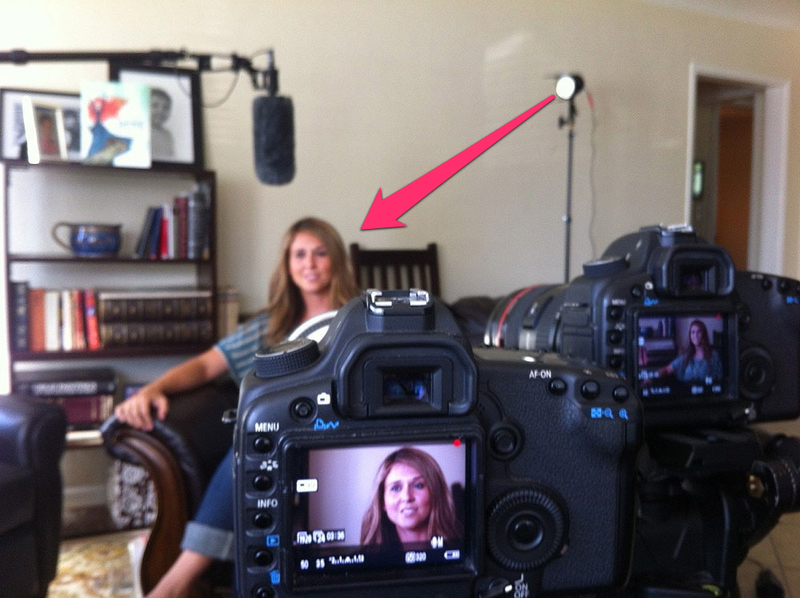 Litepanels has a great product line and I love using them. 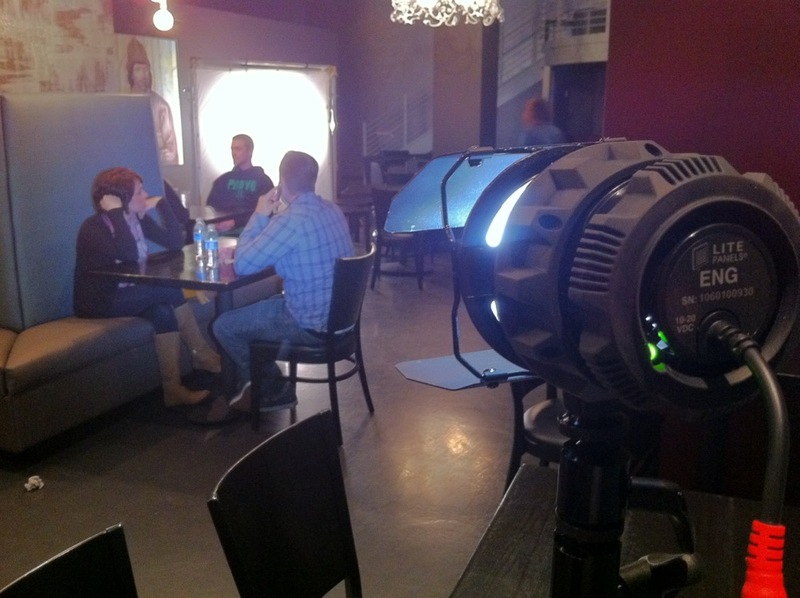 Special thanks and shout-out to Alan Ipakchian of Litepanels, Inc. for allowing me to test out the kit. For this establishing wide shot, there are a Sola units (red and yellow) behind the square pillar and wall cross lighting the extras. 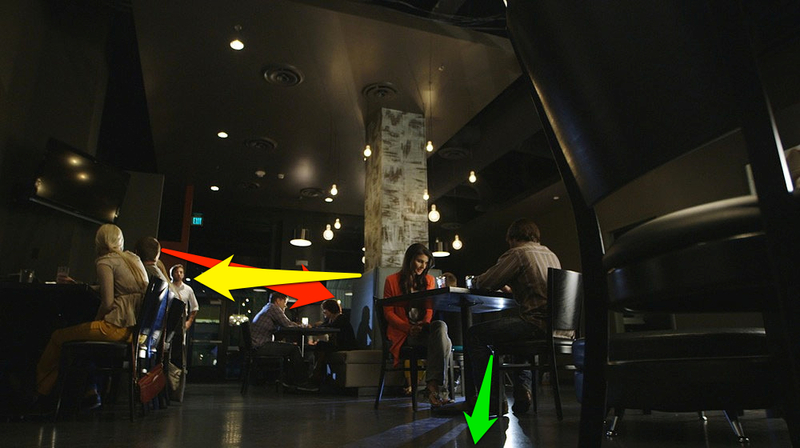 Another Sola is placed directly behind the main actors, fairly low, aiming right at camera to add some highlight on the floor. *Note: All the Sola units were left uncorrected on this shoot (shot at Tungsten) for the blue color. 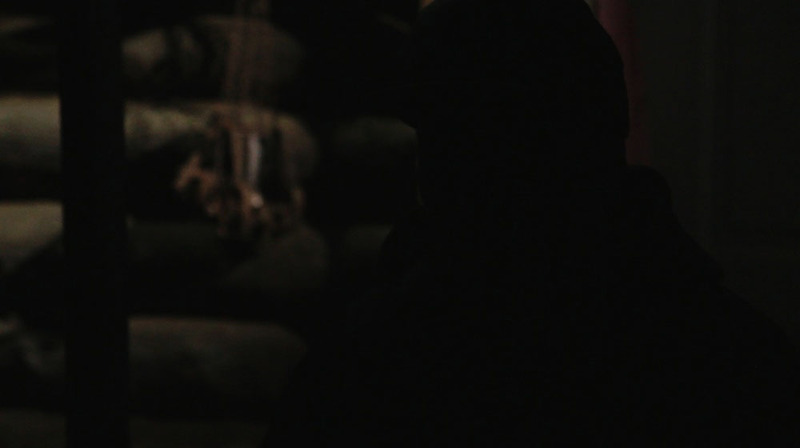 One of the Solas backlighting the extras. 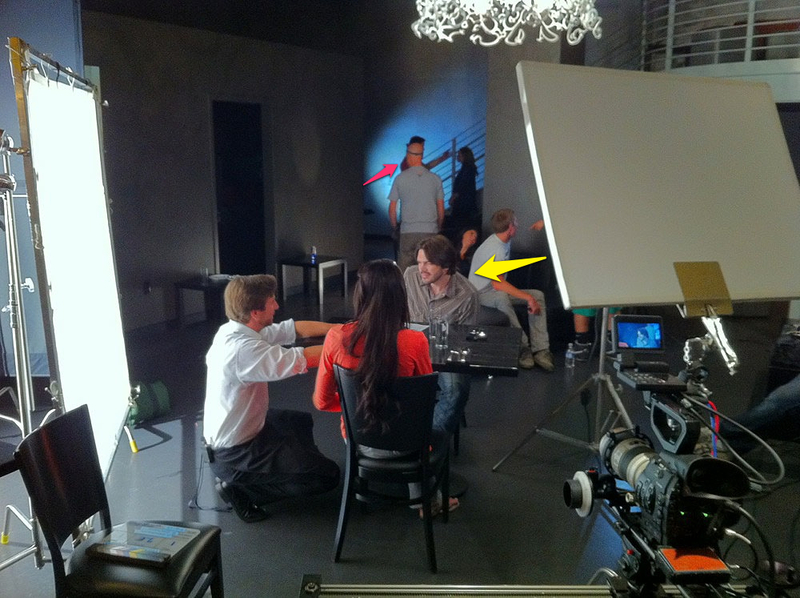 Here you can see the 6×6 silk frame we used for they key light (1K). Here is an overhead of the panning three-shot setup. One Sola (red) is backlighting the extras. 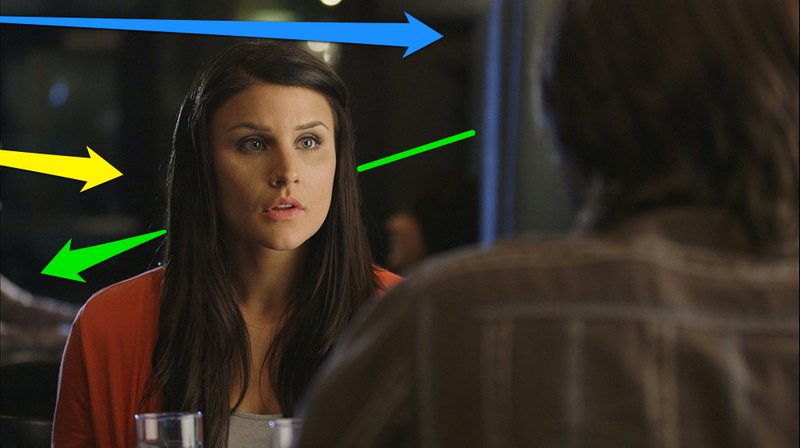 Another (blue) is backlighting the female talent and [side-lighting] the waiter. The third (green) is adding a blue splash to the otherwise plain wall behind the waiter. Virtually the same setup for the female’s coverage as the wide establishing shot with the exception of the edge light on her right side. I used the unit that was on the floor for the wide shot as her edge light here. 6×6 key with a kiss of bounced fill. Blue splash on the wall (red). Backlight for male talent (green). China ball on the floor for the back wall, 6×6 key and a little bounced fill. Here is a shot of the setup for the male talent’s coverage. Sola (green) adding a little glow behind the chair for more interest. Edge light (red) from the same general position as the other unit (see below). 650w openface through a 4×4 silk for key light. Remaining Sola bounced into the wall behind the guy’s head for a bit of fill. Here is the setup of the Sola units used for the wall glow and the edge light mentioned above. 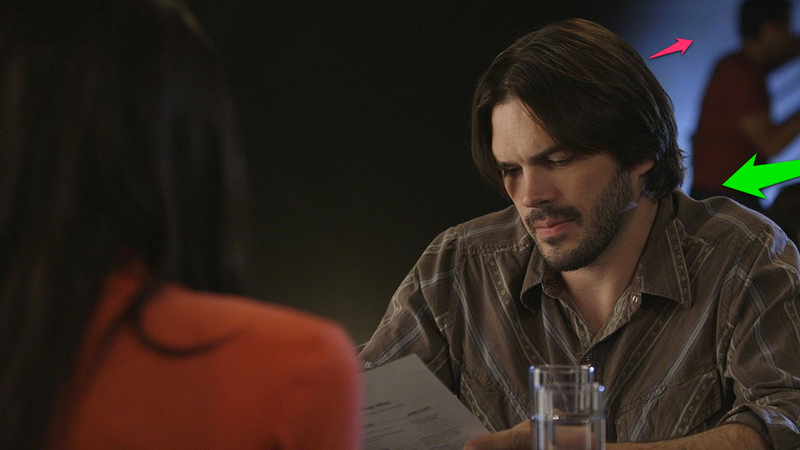 Here you can see the full CTO gels used to correct the daylight-balanced units. A shot of the setup for the female’s coverage (minus the edge light and fill light we hadn’t placed yet). Male coverage, almost same as the female’s. Edge light is placed low on the ground hidden behind the arm of the sofa (see next photo). 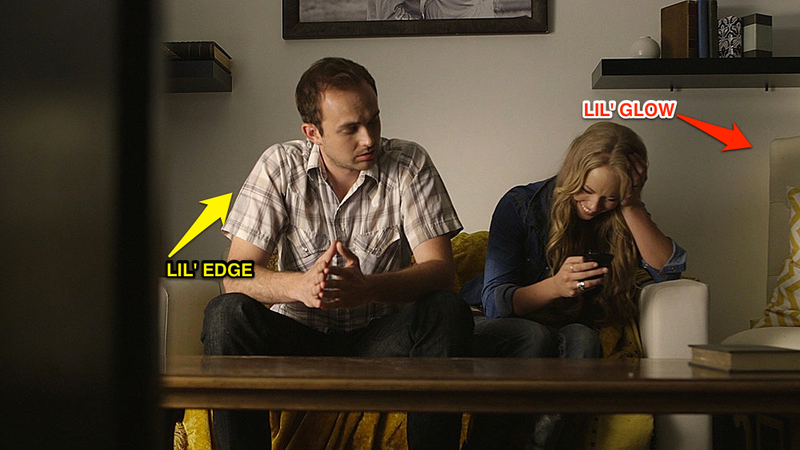 This shot starts out as a medium shot and pushes in to this framing. This is the unit that was hidden behind the arm of the sofa. 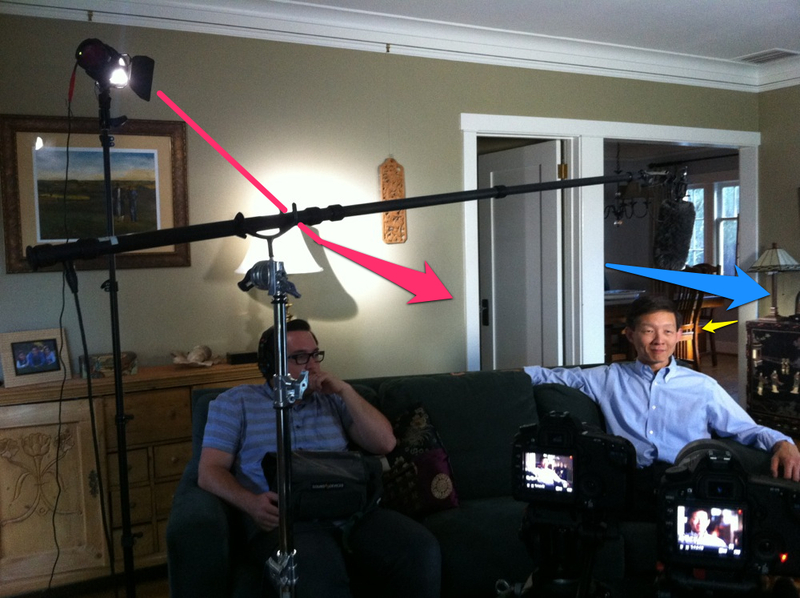 These two shots are from one setup of a series of interviews I shot for a web campaign. Sola 1 (red) is bouncing off the wall to create a subtle and soft “backlight”/rear fill(?). 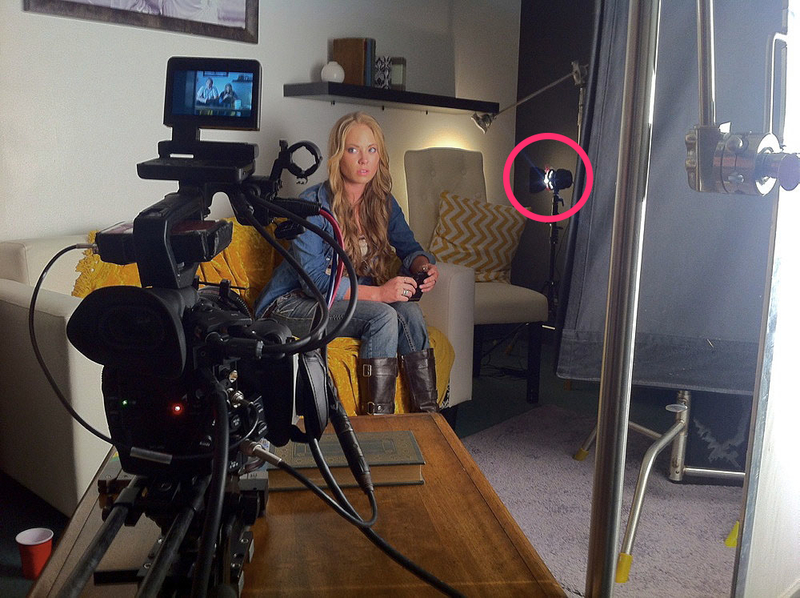 Sola 2 (blue) is hidden behind the wall and lighting the lamp, table, and wall to the right. The last Sola (yellow) is adding some interest in the background. 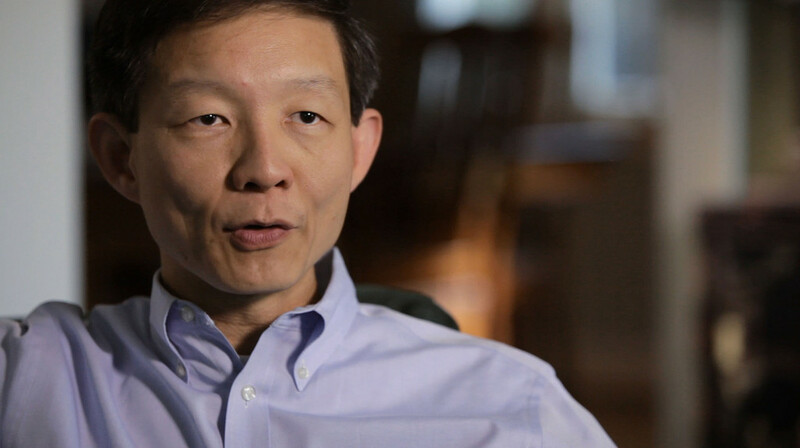 We used a 1×1 Litepanel as key light. 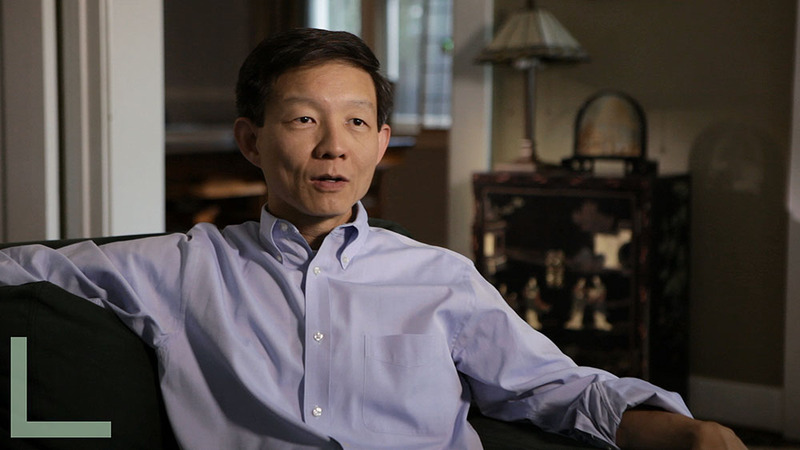 Another interview from the series. Mostly window light. The Sola (red) behind her is adding a really subtle hair light and there is another unit that I forgot to indicate on the left that is adding some light to the bottom half of the book shelf. 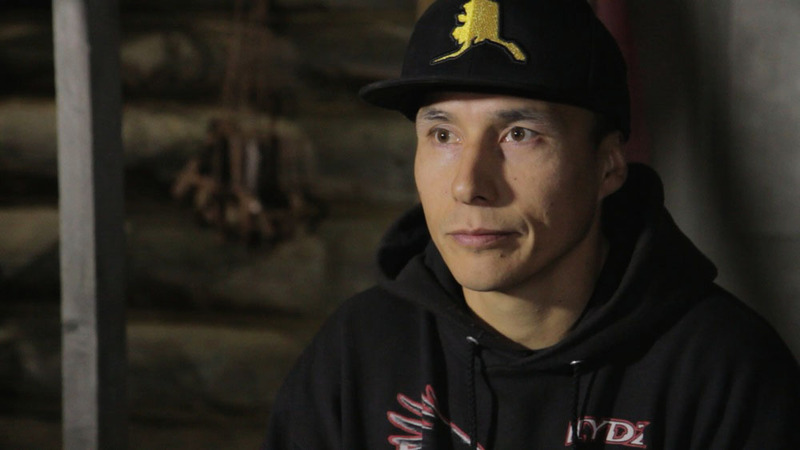 This is an interview we did in Alaska on a doc shoot. We toted the light kit everywhere for over a week and only ended up using them for this setup which we did outside at night. Our key was an off-brand, battery-operated LED panel (green). I had a Sola (red) highlighting some animal traps hanging on the wall. A second Sola provided some fill. Just the accent light on the traps. 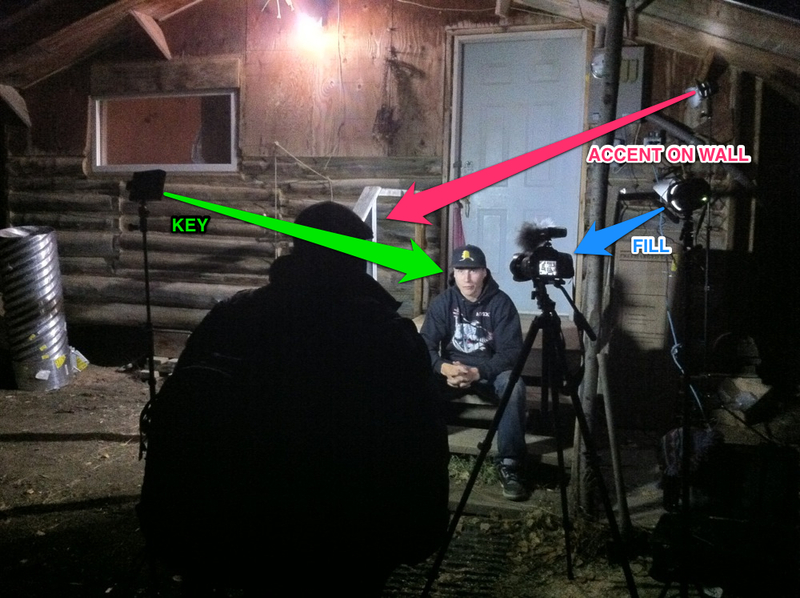 Accent light plus key light. Accent light, key light and fill. One Sola is hitting the stairs from the left, another is hitting the back of the recliner chair and the third is on the floor behind the player’s hands. And if your brain is hurting to know, there is a Joker 400 behind the piano with a Chimera softbox as key; another Joker 400 is at the top of the stairs aimed down the stair well; a 4′ 4-bank Kino Flo on the ground behind the sofa uplighting the fireplace; a non-Litepanels brand 1×1 light panel behind the recliner chair illuminating the back wall; another 4′ 4-bank Kino Flo behind the camera for fill; and another non-Litepanels brand panel off camera left for the talent’s back light. Thanks taking the time to post this. The kit seems like a really good option for people that are always on the road with a very small crew. 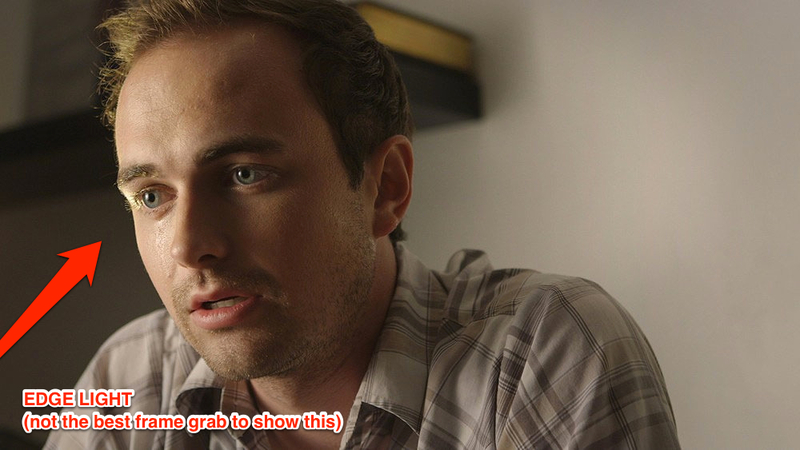 (that´s usually how I work) But, like you said, you´d probably need a bigger source for the key. To me, the main thing about this kit is that is draws very little power. That´s always a good thing when you are shooting on location, right? Please, keep up the posts. Absolutely, Roberto! The worst is trying to find power to your lights when you’re in a location that is either old, or just doesn’t have enough power for your needs. Thanks for reading! This was awesome! I’m trying to talk myself into laying down the bucks for a new set of lights for mostly documentary work and the Sola series is my first choice. The price just knocks the wind out of me, so I was looking for the lowest cost solution and Google’d for Sola and found this review. A big THANK YOU for taking the time to upload the illustrated real-world pics of your testing of this kit. It sure helps and I will certainly bookmark your blog for sure! Keep it comin’! Kelly, thanks for reading! I hope you find the best kit for your purposes. Many thanks for the review and examples found them both of use and interest. Great review! I’m looking for a portable kit to travel with solo to shoot interviews and b-roll for the non-profit I work for. I saw this kit and was interested, but I’m concerned based on your review that it won’t put out enough light. Is this good for a one-man-band traveling solo to shoot decent looking interviews or would you recommend another kit? Rob, I think this kit is perfect for what you are describing. They actually put out a good amount of light, especially if you are using a fairly newish camera that doesn’t need a ton of light to get a good image. As long as you are not trying to shoot your subject with a large window in your background and hope to retain detail outside, you should be good. 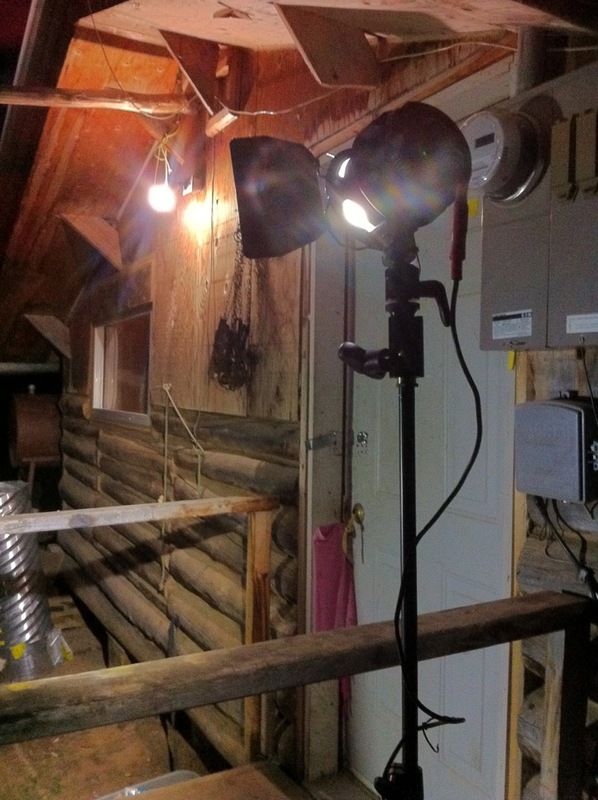 In virtually all instances I used these lights, they were plenty bright enough for what I needed. In my initial test, I actually put a person in front of a window to see how well it would compete. It did better than I thought it would, BUT it was an overcast day so it wasn’t very bright outside. If you’re not overly particular about how soft you like your key light, then I think this kit will work fantastically for you. I was always amazed that I was toting around a 3-piece light kit. The only other concern, as I mentioned in the post, is that the lights do have fans on them so I can imagine that if you are in a really quiet and cramped environment, you will hear them. I didn’t have a problem with them at all, though. Rod – I’ve been doing video for about 15 years now and this is one of the best lighting articles I have read – even better than most seminars I’ve attended. I’ve been using typical lighting for my shoots, but will be going on a tour bus with a comedian and need something that is smaller and cooler than what I have. I was looking at different options, but after reading your article have decided to go with the Sola ENG kit and supplement it with the Litepanels 1×1 (as you suggested). Even though I’ve been doing this for a good while I still picked up some good pointers on using accent lighting from your article. Thanks for taking the time to document all this! Ever thought about doing seminars? Robert, thank you so much for your comment and kind words! I’m so glad that my post and suggestion helped you out. I’ll be curious to see how it works out for you in the field on a regular basis. Let me know! With both kits working together we were able to do quite a lot with these lights. 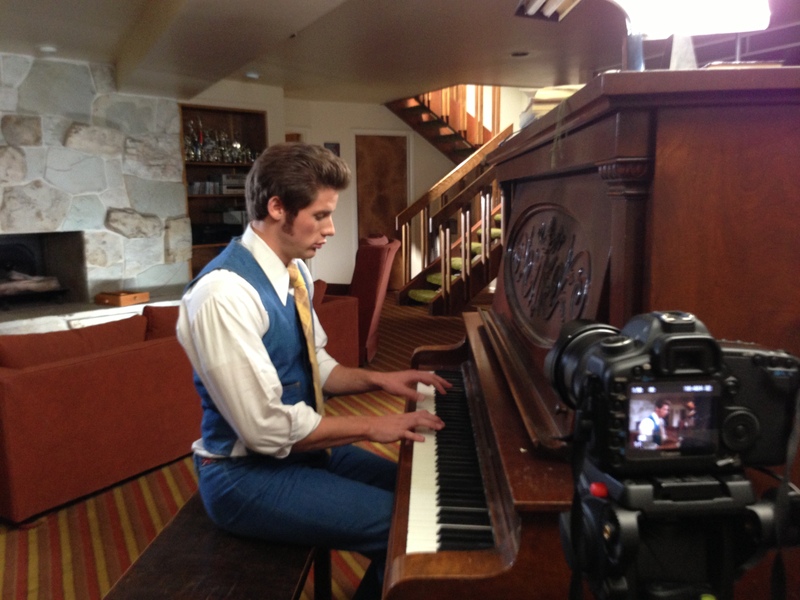 Our tests showed great color balance, especially the daylight bulbs. The fixtures do a great job throwing an even light that spreads fairly far from the source. With the louvers, you can get a much more controlled beam angle that falls off very nicely at the edges. Overall, we think the light quality is outstanding.